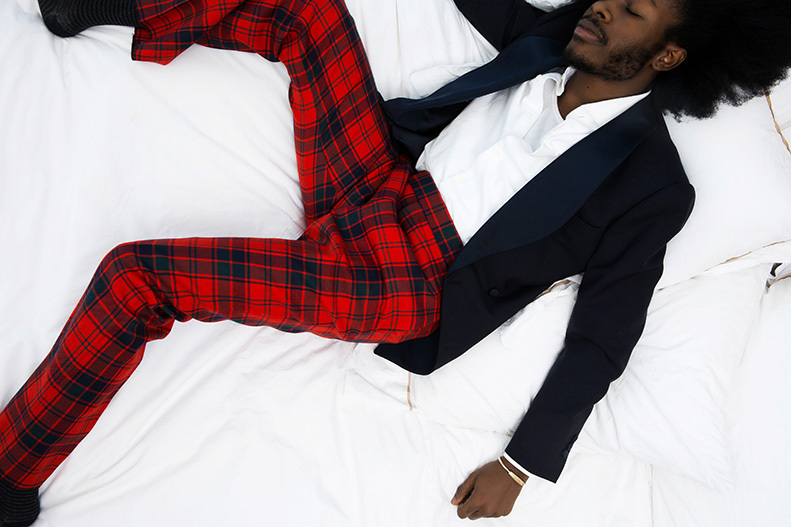 Jesse Boykins III is New York’s groundbreaking soul artist that has the special gift of making you feel like he’s empowering your emotions within each track. With his timeless sound, Jesse considers himself as a musical explorer. Making his mark in soul music, he walks us through his creative processes, an exclusive of his the upcoming EP Way of Wayfarer and what he really means with his song ‘Come into my room’ in Part One with our interview with Jesse Boykins. Margaret Tra writes. As an artist who produces and writes your own stuff, what are the creative processes you go through when completing each track? Which do you enjoy more? I definitely appreciate both sides of creating a song. My process is never the same really; I do what feels good. As far as which I enjoy more, that depends on how I'm feeling. You studied with Bilal, what was that like? Would you both ever collaborate? Yeah, I studied under Bilal for three years in college. We talk on the phone all the time about getting up and working on music. It shall happen soon. What is it like working with your band ‘The Beauty Created’? it happen regardless. They understand and want the same growth in our progression as I do. 'Come to my room' is definitely a make love song, what was your inspiration behind that and how does it feel to have that effect on people through your songs? My Room’ really to me means be a part of my world. It’s an honour to have people appreciate my song writing, because I take great pride in my lyricism. You’ve worked with a lot of artists The Foreign Exchange, Theophilus London to name a few, what project was your favourite? And who is your ideal person to work with? I really appreciate being able to collaborate, currently I have been doing a lot of collaborations with MeLo - X and Machine Drum . Currently they are my favourite cats to work with, but I am very grateful to collaborate with passionate artists like Phonte and Theophilus. I like working with people who realise and acknowledge the vibe there in, the purest form of music happens that way, aware artists. What are your thoughts on Australian fans? And how does it feel to know that your music has reached souls here? powerful music is. You always realise that by how it travels. Anything is possible and most likely happens when spoken into existence. With that being said, I will see Australia soon. I am releasing an EP called "Way of a Wayfarer" this month. Also a lot more music to be released this year, alongside my 3rd official release"Love Apparatus" set to come out in the fall.